The SONG OF THE WHALE is currently in Iceland where the team is studying Iceland’s fabulous whales including minke whales and humpbacks, who spend time in the cool, productive waters during summer to feed. . The team has just participated in a week of research trips and outreach activities in Faxafloi Bay, near Reykjavik with an NGO, followed by a research expedition to Greenland in association with specialist tour operators, ‘Discover the World’. 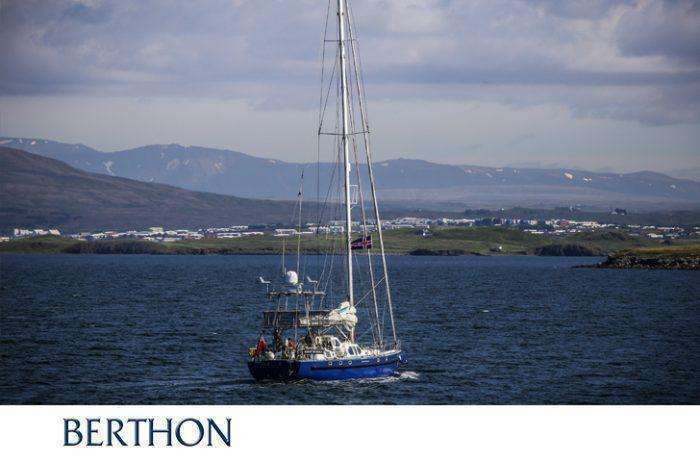 Later in August, she and her crew will be conducting a 40 day research project on behalf of the Carbon Trust, before returning to Ireland in early October to undertake another offshore survey for deep diving whales on the Irish continental shelf edge. SONG OF THE WHALE then will be back in her home port of Ipswich in late October to host small groups of local young people as part of a Heritage Lottery Fund project focused on discovering and sharing the natural and social heritage of the Orwell estuary. So, it’s very heads down in the office at the moment sorting logistics, including planning a new project with the Government in the Republic of Cyprus to study their whales and dolphins, which has just got the green light for the initial survey to kick off in mid-August.